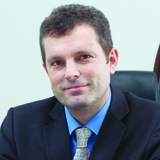 Prof. Dr. Uwe Klima is the Consultant Cardiac, Thoracic and Vascular Surgeon at B R Medical Suites. He is certified by the German and Austrian Board and is the Professor of Surgery and Faculty Member of the internationally acclaimed Hannover Medical School, Germany. Before arriving in Dubai he spent 10 years as Senior Consultant at Hannover Medical School, Germany and 3 years at National University of Singapore as full Professor of Surgery. During his training in Austria and Germany he also spent two years at the world renowned Massachusetts General Hospital, Harvard Medical School, USA. Prof. Dr. Klima’s area of expertise lies in minimally invasive surgical procedures, enhancing aesthetic outcome and minimizing post-surgery discomfort. Prof. Dr. Klima was the first surgeon worldwide to implant the eMesh device in humans to improve patency rate of grafts after bypass surgery. Armed with over 20 years of experience in surgery, he has performed more than 5400 cardiac, 2000 thoracic, 2400 vascular and 1000 general surgery procedures. Prof. Dr. Klima has won multiple renowned Awards from international Societies, including Award for outstanding Medical Achievement, Professor Dr. Walter Pilgerstorfer Prize and Lillehei Young Investigator Award, Gold Star Award for medical excellence. Prof. Dr. Klima serves as reviewer for 11 international journals and has published 114 original peer reviewed articles, 2 reviews, 13 book chapters and more than 380 lectures nationally and internationally.